Our new study shows that nesting birds time their escape from an approaching predator depending on how well camouflaged their eggs and their own bodies are. This is the first study to show that the camouflage of an animal or that of its offspring can explain the variation in risk-taking behaviour when approached by a predator. 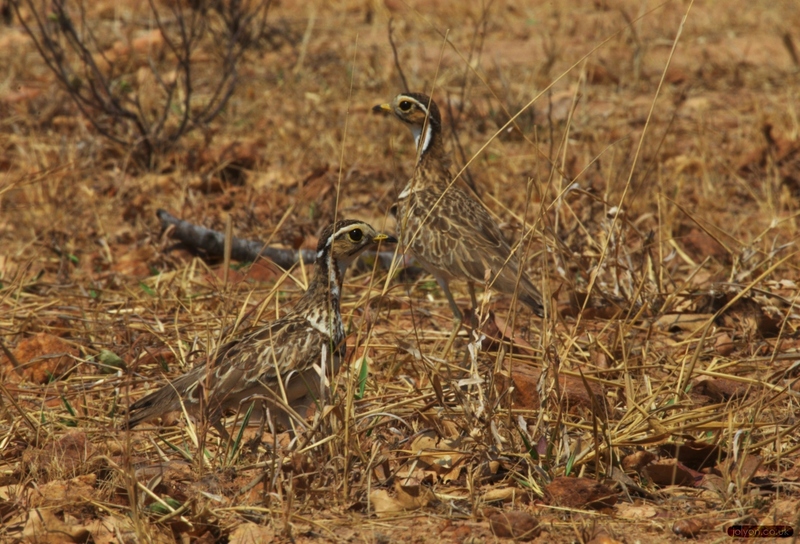 A team of skilled local assistants in Zambia found the nests of several species of ground-nesting birds. Once a nest was found we monitored its progress, recording the escape distance of the adult bird each time they approached and, using camera traps, identified key predators such as banded mongooses, vervet monkeys and grey-headed bush shrikes – and even human children. In complex environments it is hard for animals to perfectly match their background. When an animal’s camouflage is poor it has a higher risk of being detected and eaten by a predator, so it should more readily flee from an approaching threat. We therefore set out to test whether the distances at which birds fled their nests on the exposed ground was related to the camouflage of their plumage and eggs. 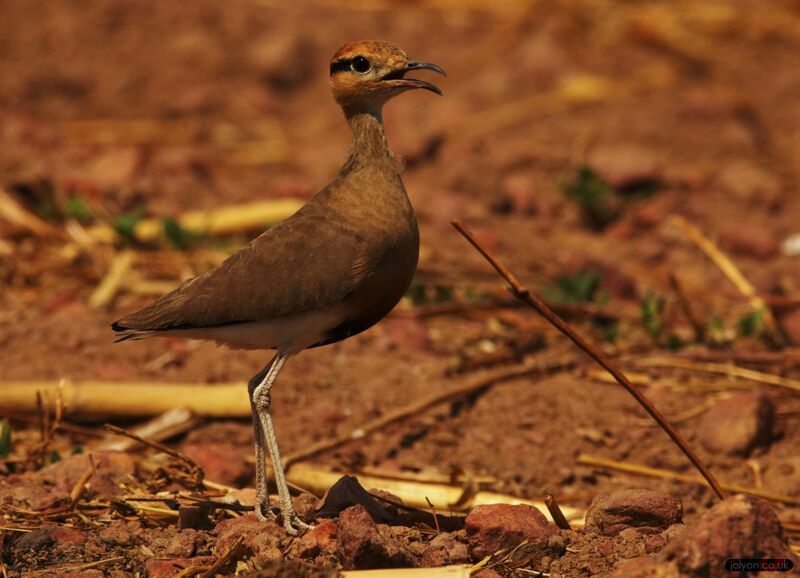 We found that birds that usually flee from predators at long range, such as plovers and coursers, stayed on their nest for longer when the pattern of their eggs was a better match to the background. They also adjusted their behaviour in the heat of the middle of the day, letting a predator approach a little closer before fleeing. This probably allows them shade their eggs for as long as possible, and so reduce the chance of them cooking in the African sun. By contrast, another group of birds, the nightjars, usually sit tight so that their eggs are concealed by their camouflaged bodies until the last minute. Sure enough, nightjars stayed on their nests longer when the colour and pattern of their own plumage, rather than that of their eggs, was a better match to the background. We photographed the adult birds and eggs using specially-calibrated digital cameras. Sophisticated computer models of animal vision were used to map images to each predator’s visual abilities. This is important because predators differ greatly in how well they can see colour. For example, birds have high colour sensitivity and can see ultra-violet wavelengths, whereas the banded mongoose has relatively poor colour vision and can only see colours equivalent to blues and yellows.